Note: Priced at P150 per sheet (Generic or Personalized); Sold only in full sheets. Note: ASEANPEX Official Logo souvenir sheet is larger than normal, and no FDC or special FD cancel were made available. 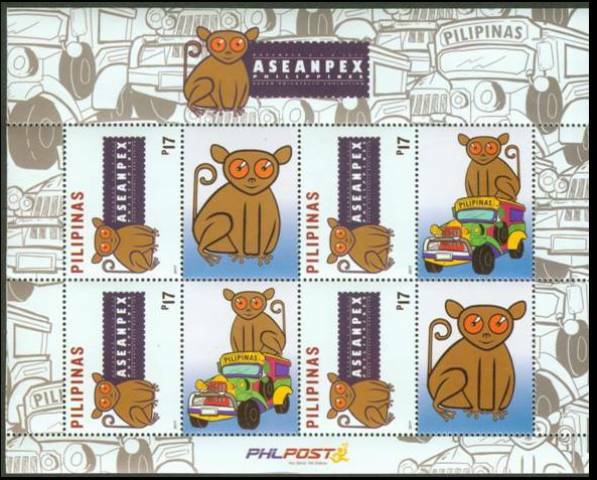 So unless Phlpost issue a larger official envelope and/or official FDC cancel later, FDCs prepared during ASEANPEx for this issue will have a pair, a strip of 4, or, 8 without margins, cancelled with the same First Day cancel for the November 4 (Day 1) Limited Edition Souvenir Sheets.